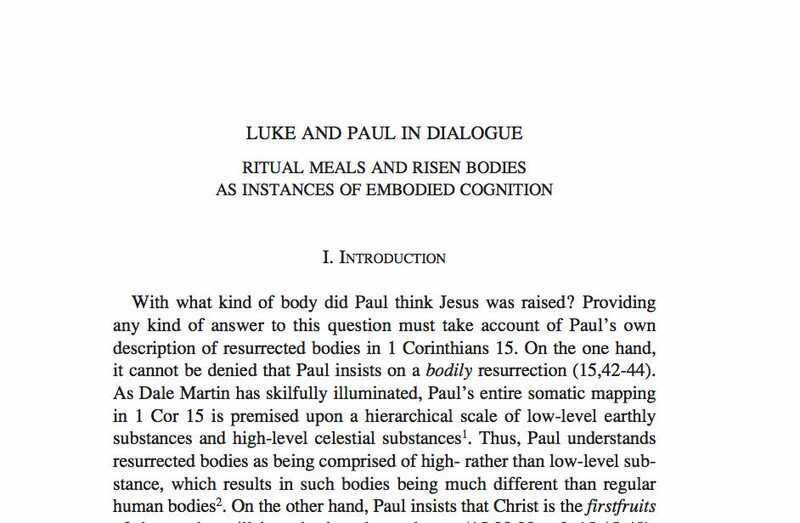 “Luke and Paul in Dialogue: Ritual Meals and Risen Bodies as Instances of Conceptual Blending.” Pages 203–228 in Resurrection of the Dead: Biblical Traditions in Dialogue. Edited by Geert Van Oyen and Tom Shepherd. BETL 249. Louven: Peeters, 2012.